We can’t enter the well cleaned interiors with dirty footwear! Maintaining the cleanliness is very first rule to keep enjoying the sophisticated look of your interior! So if you are also living in a home where dirt is not allowed in any way then door mat and a mudroom bench would be a must need! 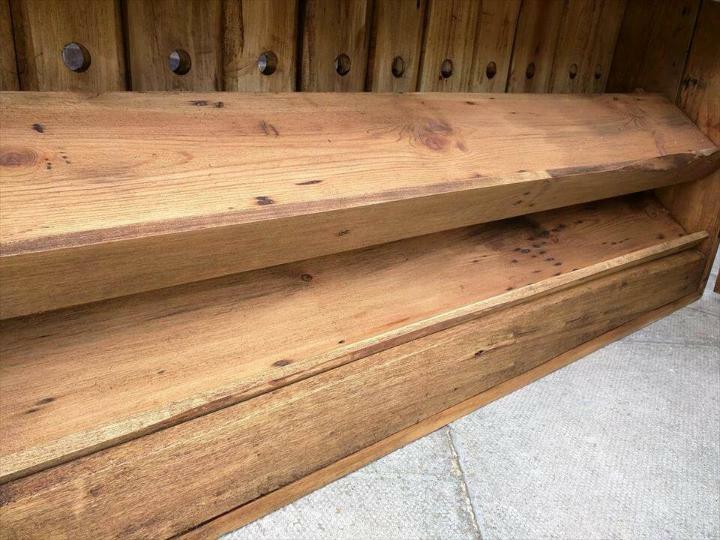 Get all affordable and well-build wooden mudroom benches out of pallets! Have a creative look at this DIY pallet shoe storage mudroom bench that will all be a great solution for managing your footwear! It provides a comfortable seat to individuals to take off or wear their shoes! There is also a build-in shoes rack underside the berth that is to take good care of shoes till the next use! From this bench to inside shelves to front hinged doors, all is made of single pallet slats without spending a lot of time! 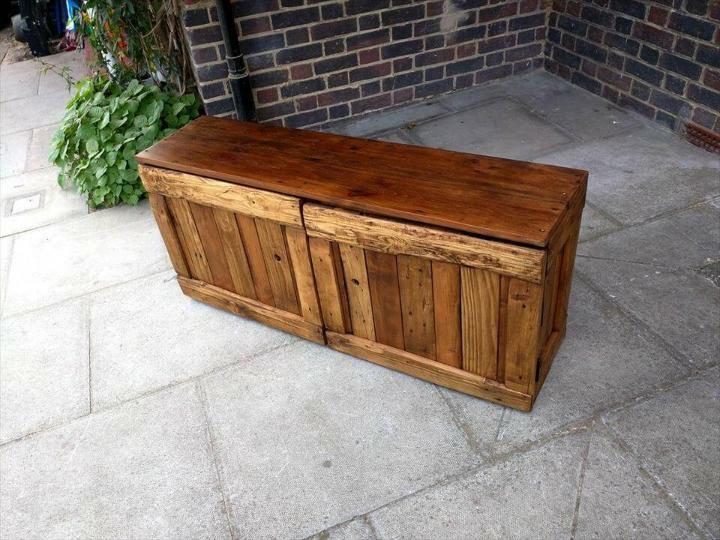 So get a big stock of pallet wood planks and enjoy building this robust wooden shoe storage bench at home! After a through sanding, apply the wood finishing coats to create extra stability and weather protection to wooden surfaces! 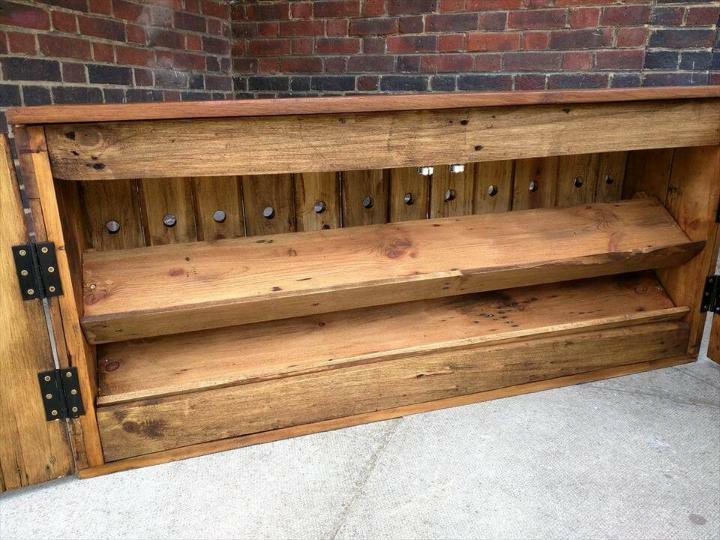 This hand-built shoes storage bench is a need of every mudroom! There are 2 inside built pallet shelves that lead to a great shoes rack underside the bench berth! Both shelving levels come on a tilted angle that makes it easy to pick and drop the shoes! The hinged door in front, will hide the stored shoes and will also keep the organized shoes dust-free for a longer period of time!